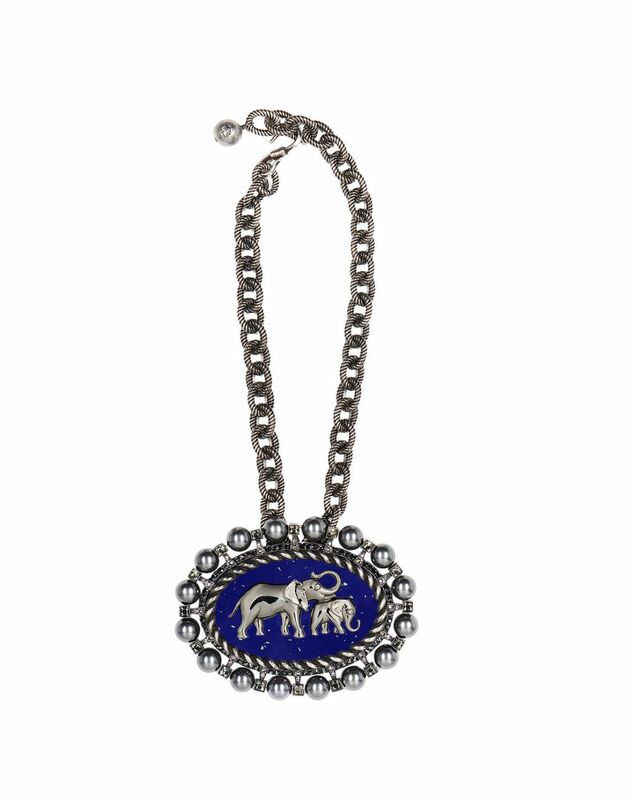 Short "Bari-Bari" necklace in silver-colored pewter with "Elephant" medallion adorned with Swarovski crystals, glass beads, chain, and hook-and-eye clasp to adjust the length. 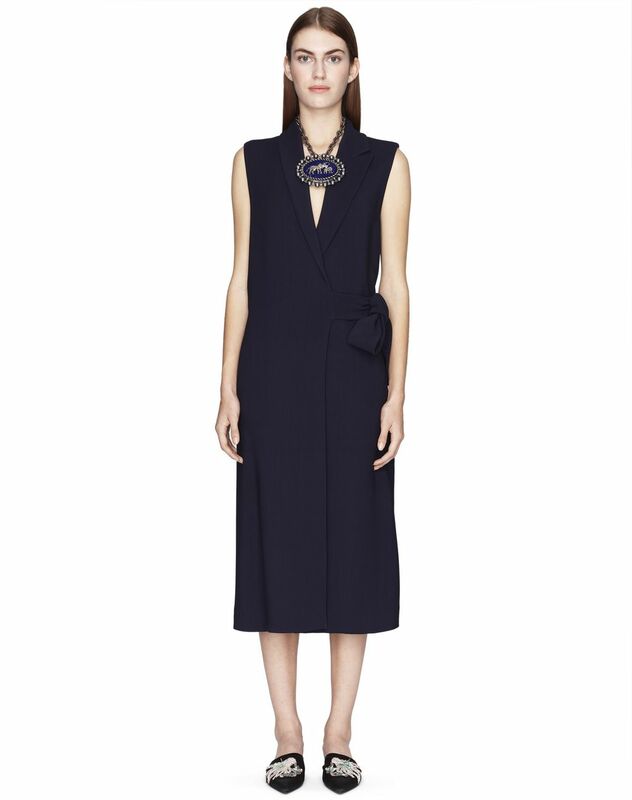 For the Spring-Summer 2019 Pre-Collection, the "Bari-Bari" line draws its inspiration from the elephant, a symbol of nobility and wisdom. 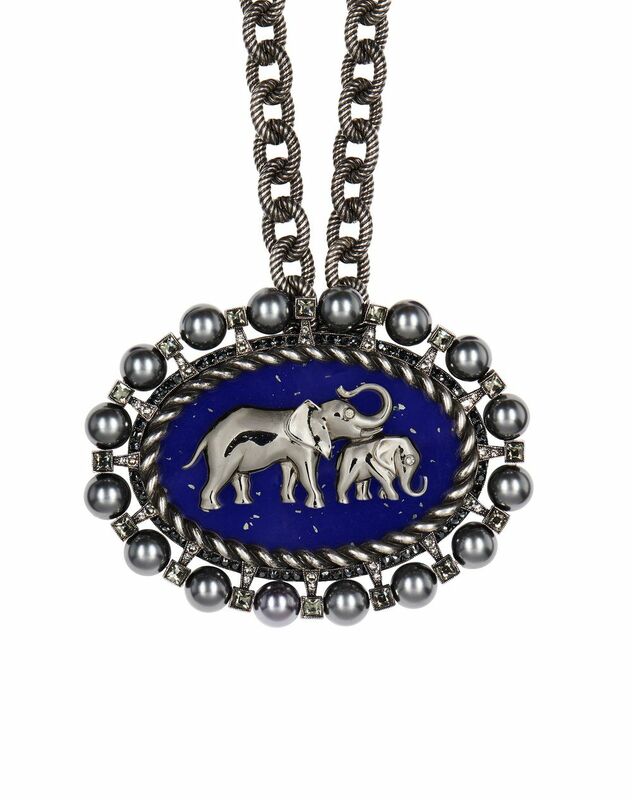 This short pewter necklace stands out for its medallion adorned with an elephant on a marbled background, marking this piece with the brand’s signature. The combination of Swarovski crystals and glass beads gives this beautifully extravagant piece a radiant, elegant touch. Main material: 100% pewter. Secondary material: 100% epoxy resin. Additional materials: 100% brass, 100% glass. Length: 16.5", adjustable to a maximum of 19.3" Made in Italy.